Back by popular demand, the Samsung Curve It Up promo brings grander and more generous treats for everyone’s viewing pleasure. To sweeten the deal further, the promo comes with up to 12,000 Mabuhay Miles from Philippine Airlines or a one-year subscription iFlix, giving access to thousands of hit TV series and blockbuster movies anytime and anywhere. NOW is the perfect time to switch to a Samsung Curved TV. Unlike flat screens, curved TVs provide a much more immersive feel as it delivers a sense of depth to the picture, drawing viewers deeper into the show they are watching. This wrap-around effect allows viewers to see more on screen, making TV viewing a more enjoyable experience. The curved screen also follows the natural curve of the eye, reducing eye strain even after hours of TV viewing. The Samsung Curved TV features an elegant 360-degree design, making it a stunning centerpiece in any room. A work of art in itself, the Samsung Curved TV combines art and technology in its stunning design and powerful features. Why wait if you can curve it up to a Samsung Curved TV today? Head over to the nearest Samsung participating dealer to see how Samsung Curved TVs can make TV viewing even more exciting. 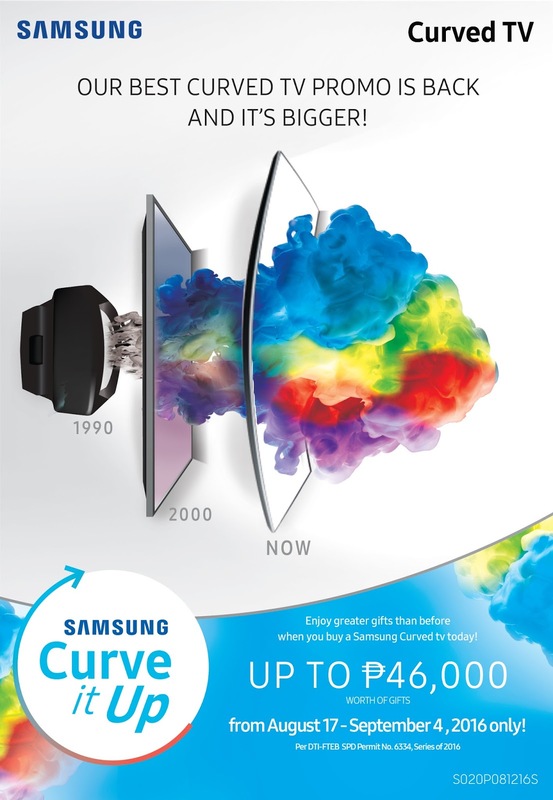 Don’t miss out on this chance to curve up to a Samsung Curved TV.